OLD PARKED CARS. 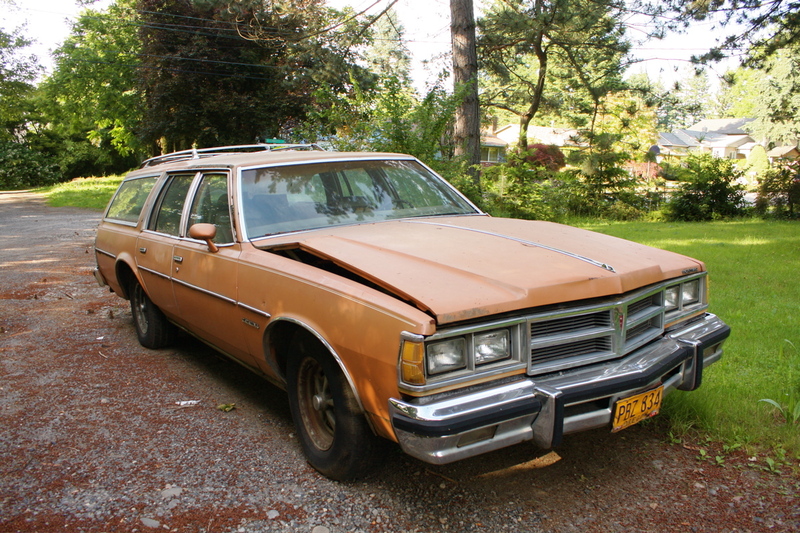 : 1979 Pontiac Catalina Wagon. 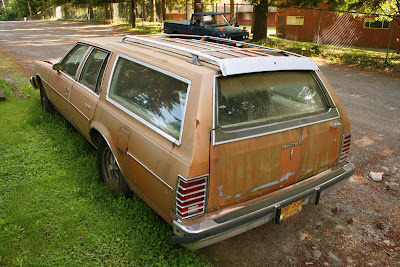 Too bad about the hood hinges. That hood never had a chance. Bet it's rockin a Poncho 265 or 301 V8. The 105-115hp that those made had to be the worst power to cubic inch ratio in history. Mean as hell, especially with those rallye wheels. All that dead weight. the safeway deli odor, the sticky change in the folds of the plastic seats. 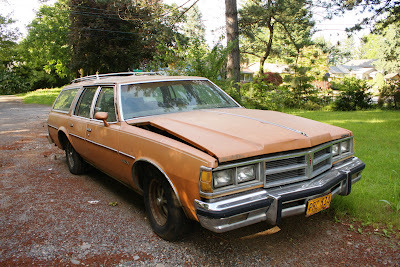 I hated those General Motors bodies (1977-1990) .. I remember being in those station wagons, even though they were Chevrolets it was still basically the same as the above Pontiac. When you sat in the seat it felt really low I didn't like it at all. My parents had a 74 Caprice estate wagon & the seats both front and back felt just right. I hope somebody agrees with me about the uncomfortable feeling with the seats. 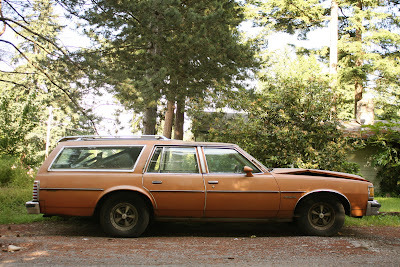 Actually the 1972–76 Ford Gran Torino's gave me the same type of feeling .